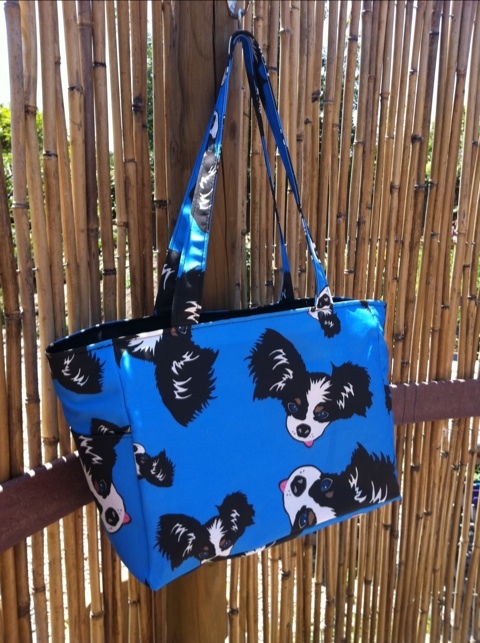 This is my Indie Shopper tote bag in the fabric I designed of my dog Detective Tinkerton! One yard of either heavy weight cotton canvas or the linen canvas of this Spoonflower fabric is all you need for the exterior material. Then just 3/4 yard of what ever you would like for the inside. I used a heavy weighted poly denier. Or you can use a cordura fabric. Choose Detective Tinkerton fabric or pick from my other designs! ← Nice and easy summer top to make!